The new London-Paris super train represents an increase in capacity for Eurostar’s fleet of 20 per cent, while it will is reportedly estimated to cut journey times from London to Paris by 15 minutes. 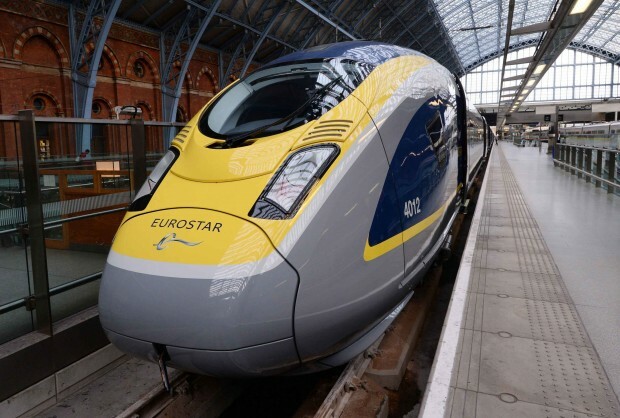 Eurostar has unveiled the first of its state-of-the-art new fleet of 320km/h trains that will speed up journey times for thousands of passengers from London to Paris. Revealing for the first time that the train will go into service at the end of 2015, the e320 will join the existing Eurostar fleet in services through the Eurotunnel between Great Britain and continental Europe on the Paris-London and Amsterdam-Brussels-London lines. With its 16,000 kW of traction power, the 400 m long trainset reaches a top speed of 320 km/h. The highly flexible interior and the seating capacity ensure a high standard for around 900 passengers. The new trainsets are also equipped with innovative communication and entertainment systems which, in future, will give passengers the opportunity of enjoying on-board Internet and video on demand. The current Eurostar fleet manufactured by the French Alstom, has a top speed of 300 km/h and a seating capacity of 750. The company also revealed that it was ordering a further seven new trains, beyond the 10 originally requested in a €600 million deal with German firm Siemens. Today’s launch event also comes on the eve of the 20th anniversary of the first Eurostar train services in November 1994. Eurostar chief executive Nicolas Petrovic said the new trains designed by the Italian firm Pininfarina would be “key to [the company’s] growth ambitions”.